Our home is beginning to look a bit like VTech show room. We have the VTech Musical Octopus in bathtub and the kids loved the VTech MobiGo 2 so much that my mom purchased a second one so they could each have their own. We received the newly released VTech InnoTab 2 learning tablet for Bryson to try out. Right out of the box, several great features caught my eye. The rotating photo/video camera allows Bryson to take a photo of himself and then he can easily flip it around to snap photos of anything else. He loves to set up his train tracks and other toy scenes for photo opps. 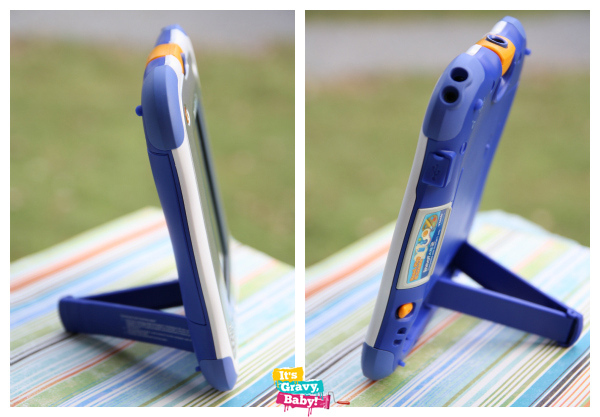 It has a built in stand that slides out so the VTech InnoTab 2 can stand on it’s own. This is perfect when he’s looking at e-books or listening to music. The stand will hold it up right or sitting on it’s side. The 5″ color touch screen is a great size. It’s not too big or too small and it’s great for on the go. I love that is has 2GB memory and it features an SD card slot, so you can expand up 16GB memory. 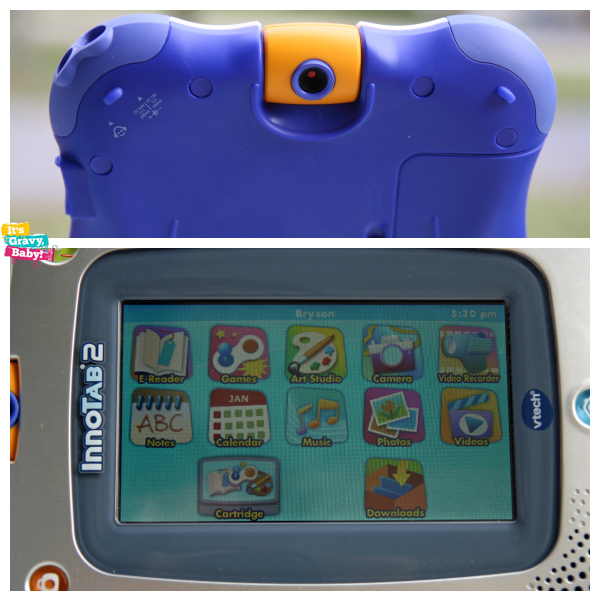 The VTech InnoTab 2 comes loaded with 17 apps and 2 free downloads to use in the Learning Lodge Navigator. The downloaded app selection is large and they cover a wide age range. Since Bryson is only 3, there are plenty of apps for him to grow into as he gets older. 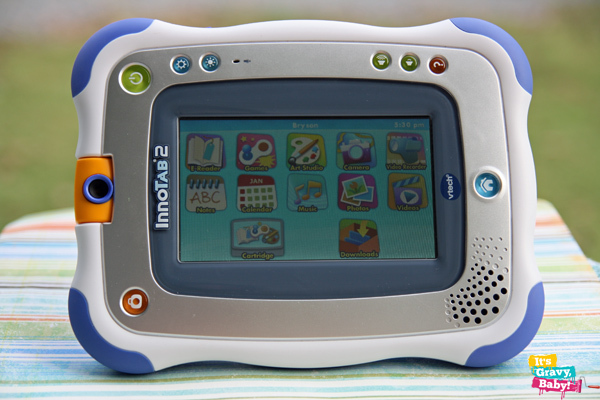 The VTech InnoTab 2 offers an e-reader, art studio, microphone, motion-tilt games, photo view, video player, stylus, and calendar. Bryson still prefers the MobiGo 2 right now, but I think that he’ll enjoy the InnoTab 2 also. I have downloaded two educational games that teach Bryson how to write his letters and numbers. As with our other game systems, I highly recommend using rechargeable batteries. You’ll save money in the long run and if you get a couple sets, you’ll always have a set charged. I look forward to buying an SD card and loading some music and movies on the VTech InnoTab 2. For now, Bryson is content with the games, books, camera, and art studio. 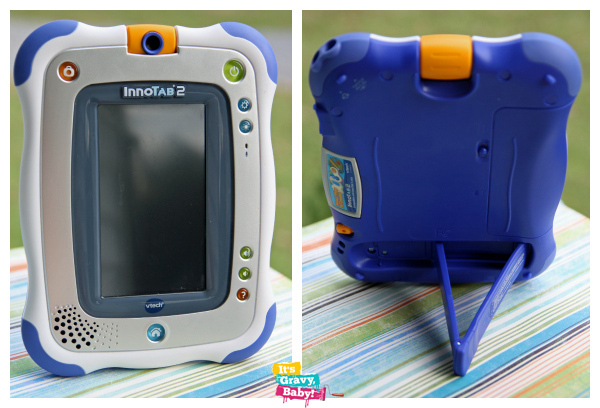 The VTech InnoTab 2 retails for $79.99. Several optional accessories are available- cases, AC adapters, etc. You can see more info and accessories at VTechKids.com. Love vTech stuff. It’s always awesome. We love VTech. We have the InnoTab and Zoe has enjoyed the MP3 player aspect. I absolutely love the addition of the rotating photo/video camera. Kids will have a blast with that! Where do you find the free apps for the innotab that it says it comes with? I can’t figure it out. Have you inserted the disk and downloaded the Learning Lodge Navigator? The free apps will be available there. After downloading, go to the app page in the Learning Lodge Navigator and it will show you that you have two free downloads. Download on your computer, then plug in the Innotab and transfer them over. I hope that helps!